Arizona is growing fast, and we’re dedicated to ensuring homebuyers keep up. Whether you’re looking for new sources of inspiration or updates on the latest communities and trends, you’ll find it all here. 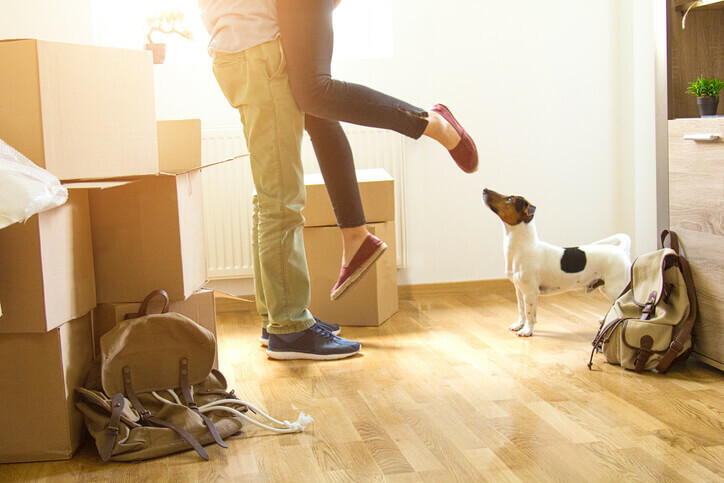 When you move into a new home, it can be challenging to settle in. 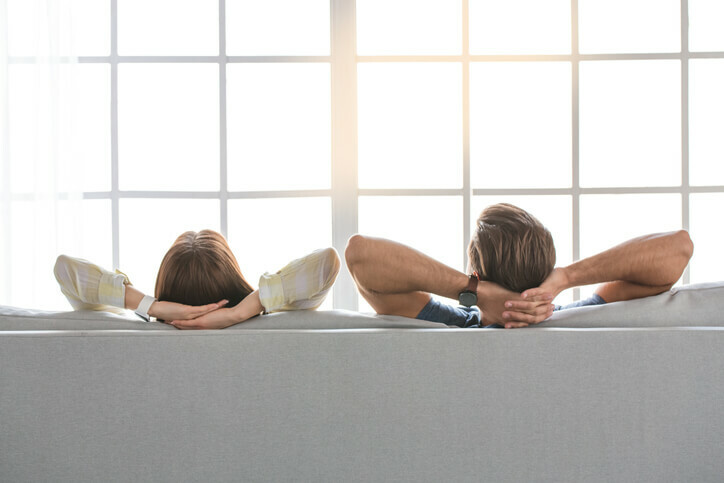 Life is hectic, especially during and after a move, and neighbors can easily stay disconnected from each other. How can you make connections and get to know your neighbors and neighborhood? It’s easier than you might think. Reach out. Sometimes, making a new friend is as simple as striking up a conversation. Knock on the door next door, talk to the lady walking her dog, or chat with neighbors at the community pool. Building connections with your neighbors can lead to lasting friendships, and knowing our neighbors makes our communities safer. Take a long walk and get to know the neighborhood. Take your time running errands and check out your new surroundings. Taking some time to be a tourist in your new community can make you feel more comfortable quickly. Throw a party. A housewarming party is a great way to meet the neighbors. It’s also a good way to inspire yourself to settle in more quickly! Keep it simple: no one will expect an elaborate get-together from someone who just moved in. Get involved. Finding a way to plug into the community is one of the best ways to meet people and acclimate yourself to your new digs. Join a church, volunteer at a charity, get involved in your child’s school or look for classes at the local library or community center. There are plenty of ways to involve yourself in your new community, many of which will enrich your life and the lives of others. Use social networking. Most neighborhoods have an online platform where neighbors can connect. Some are for posting news and items for sale; others are designed to create opportunities to connect. Do a little online research, and you’ll find that meeting people may be just a click of the mouse away. Help your children make friends. Look for opportunities for play dates, take them to tour their new school, and find activities that allow them to interact with others, like swim teams or soccer. It can be tough for children to get acclimated to new surroundings, but your support and encouragement will go a long way in smoothing the process. Are you looking for a new neighborhood? If you’re ready for a custom built luxury home, Cachet Homes builds exceptional homes that anyone would be proud to own. Incorporated in 1990, Cachet Homes doesn’t just build homes with simple elegance and sophisticated style; we also create neighborhoods consistent with home values. Our homes are built with care and concern for the community, and we are committed to operating with social responsibility for surrounding land use. To learn more about how we can put you in a beautiful home in a neighborhood you’ll love, contact us through our website. Are you ready for a new home? If it’s time to put your old house on the market, it’s important to know how to attract buyers and negotiate a good price. This can seem a little overwhelming, but it’s not too hard if you know a few simple tips. Find the right broker. It’s all very well and good to talk to your neighbor’s nephew, the Realtor, but don’t agree to use him too quickly. Instead, shop around until you find a broker who is well informed, well-connected, and tech-savvy. An agent who constantly monitors the multiple listing service and embraces technology will have the tools necessary to sell your house. Understand the market. It’s important to know what your home is worth, and a good idea to price it for about 20 percent less than market value. 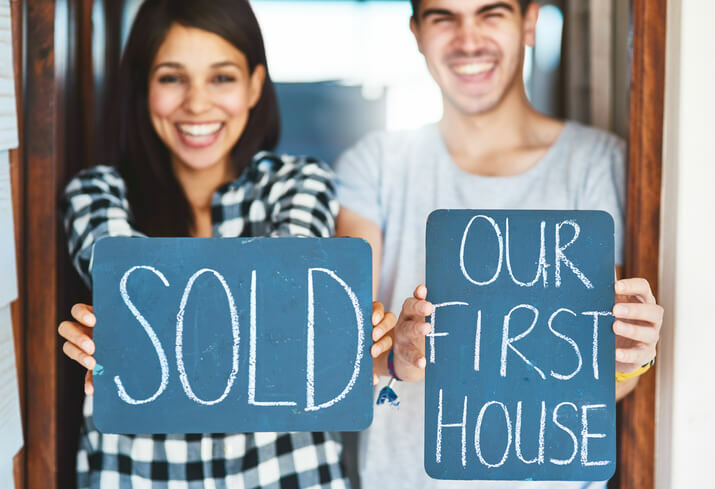 This is a great way to drive buyers to your listing, and once they start bidding, it’s probable that you’ll get more then you wanted in the first place. Maximize your space. Clear up the clutter, even if you need to rent a storage unit, and take out furniture if it makes a room look cramped. Clean out your closets, leaving them only about half-full, to give buyers the feeling of expansive storage space. If you have the means, you might even consider hiring a professional stager to make the place look like a model home. Light up the house. Open the curtains or take them down, turn on the lights and amp up the wattage, bring in additional lighting if you need to, but whatever you do, keep the place looking light and airy. 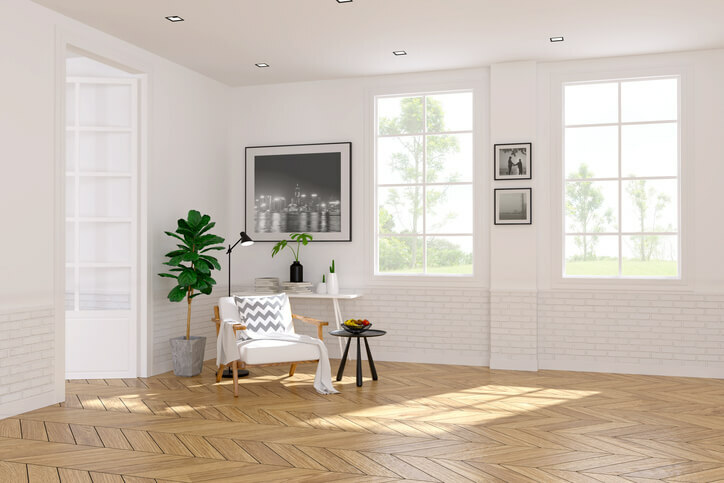 Good lighting is a major factor for most home buyers, so look at your home with a critical eye toward the light situation, and do what you need to do, whether it’s cleaning the windows or trimming the shrubbery. Depersonalize your home. All the personal effects that make your house feel like home can get in the way when you’re trying to sell. Clear away the knick-knacks and photos in favor of a minimalist decorating scheme, and you’ll give buyers the space to picture their own favorite thing filling the house. Know that no one loves your pets like you do. You might think a friendly pet in the house would be appealing to buyers, but if you did, you’d be wrong. Make a plan to remove the pets and their paraphernalia when potential buyers come to call. Prioritize the kitchen. The kitchen is the heart of the home, and it’s a major factor for home buyers. A kitchen remodel typically nets an 85% return on investment, and a few thousand dollars spent on an upgrade can mean much more during negotiations. The best news? You don’t even have to do a full remodel. Often, a neutral coat of paint and a change of cabinet hardware can make a huge difference. It may also pay to invest in one really great appliance: when people see one upscale appliance, it gives them a positive impression of the entire kitchen. Skip the major remodel. 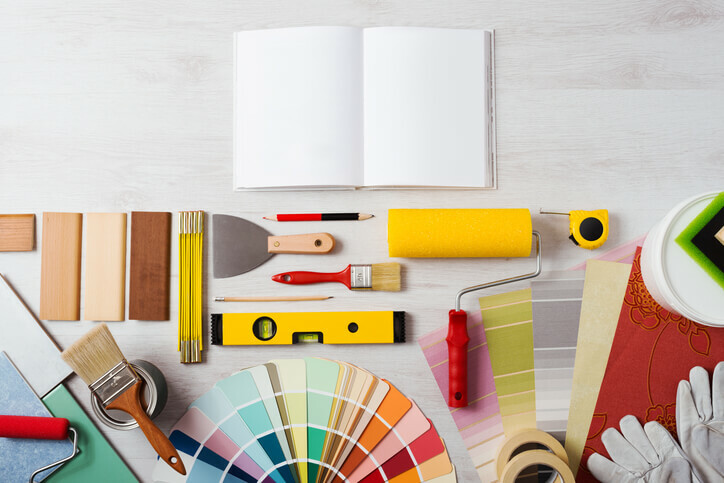 Little things like touching up paint, making minor repairs, and changing up doorknobs and hardware can make the place easier to sell. A big renovation, on the other hand, is a lot of hassle without much return. Consider the curb appeal. Buyers judge your house by what they see when they pull up, so make sure the exterior is in great shape. Touch up the paint, put brightly colored flowers by the entrance, and keep your lawn manicured, so that anyone driving by can see how beautiful your home truly is. Mind the entryway, too; make it a welcoming space, free of clutter and full of possibility. Keep the house show-ready. It’s important to be available any time a buyer wants to walk through the door. Make the bathrooms sparkle, clean the kitchen, clear up the clutter, mind the dust-bunnies, and keep it that way from the day you put it on the market until the house is sold. Once you’ve sold your home, where will you go? If you’re ready for a custom built luxury home, Cachet Homes builds exceptional homes that anyone would be proud to own. Incorporated in 1990, Cachet Homes doesn’t just build homes with simple elegance and sophisticated style; we also create neighborhoods consistent with home values. We build our homes with care and concern for the community, and we are committed to operating with social responsibility for surrounding land use. To learn more about how we can put you in a beautiful home designed to exceed your expectations, contact us through our website. When you are expecting a baby, it’s exciting to plan the nursery, carefully choosing décor to make your little one comfy. As your child grows, though, it can be hard for the room to keep up! Bigger kids have constantly changing interests and rapidly changing needs that mean a room needs to change and grow with them. With a little bit of foresight, though, you can create a room that’s easily changed as your child outgrows it. Keep the wall colors quiet. Painting your child’s room in a neutral color doesn’t make it boring, it makes it versatile. As much as your daughter loves ballerina pink right now, she may hate it with the same passion tomorrow. It’s easier to change out the bedspread and rug or repaint the bookcase than it is to repaint an entire room. Buy inexpensive accessories. Not only do kids change their minds pretty often about what they want, but they’re also rough on their possessions. Buy bedspreads, blankets or throws, rugs and curtains that you can easily afford to replace, and it will be easier to keep your cool when the glitter glue goes everywhere, or there’s nail polish in the rug. Decorate semi-permanently. Artwork is easy to change, and temporary murals or wall tattoos add interest without commitment. Using bedding and accessories to express the theme of the room is an inexpensive way to personalize it. Allow for self-expression. Paint a section of the wall with chalkboard paint, for murals when they’re little and lists when they’re older. Designate a gallery wall for their artwork, school work, and achievements. Letting your children express their personalities in their rooms is an important part of helping them discover who they are. Make it easy to change things up. A bookcase can hold storage bins for blocks, crayons and plastic dinosaurs, and then easily convert to hold books, trophies, and electronics. A bunk bed that converts to a loft can be a fun place for childhood sleepovers, yet easily shift to accommodate a study area or couch for a teenager. Think long term when you’re designing your child’s room, and invest in furniture that is multi-functional and can grow with them. Simpler is better. Ultimately, you want your children’s rooms to be peaceful places, where they can play, think, and rest. Keeping the décor simple and cozy is a great way to make any room a place where your child can thrive and grow. If your child has outgrown a room, it’s not hard to change things around and make it work. If your family has outgrown your house, though, it may be time to make a more significant change. If you’re ready for a custom built luxury home, Cachet Homes builds exceptional homes that anyone would be proud to own. Incorporated in 1990, Cachet Homes doesn’t just build homes with simple elegance and sophisticated style; we also create neighborhoods consistent with home values. Our homes are built with care and concern for the community, and we are committed to operating with social responsibility for surrounding land use. To learn more about how we can put you in a beautiful home that meets your family’s needs and exceeds your expectations, contact us through our website. 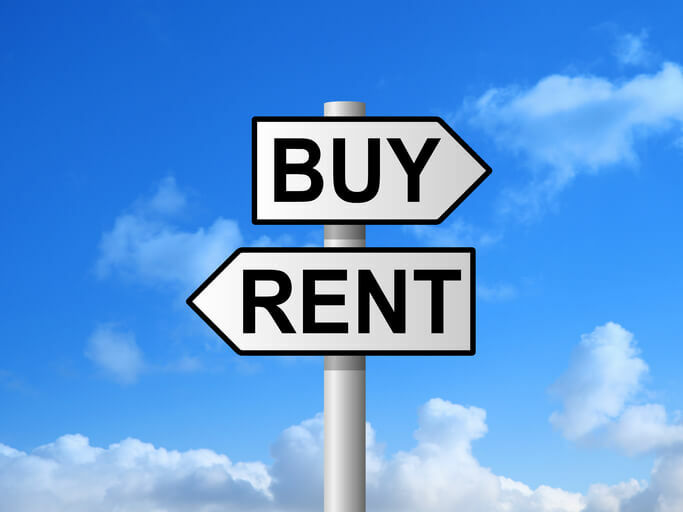 Is it better to rent or to buy? It’s a topic that’s been debated over the years, with some people favoring the stability of home ownership, and others preferring the freedom of renting. While the answer may change as the market fluctuates, in today’s market, it’s almost certainly better to buy. Owning your home may save you money. Did you know most apartments are now considered luxury? The average rent runs around $986, with Phoenix-area rental rates having jumped almost 15% over just a few years. Several online sites offer calculators that allow you to compare projected rental rates to projected mortgage rates so that you can see how long it would take for your rental cost to exceed the cost of purchasing your home. In most cases, that number is only about three to five years. Come tax time; you’ll see even more savings. Owning a home costs less than renting as time progresses, but you’ll see the difference as soon as April rolls around. Homeowners can deduct mortgage interest, property tax, mortgage points, and more. These deductions don’t just lower your tax burden at filing time; they make homeownership a cheaper option than renting. Owning can also make you money. When you rent, the money goes into your landlord’s pockets. When you own your home, your mortgage payments help build equity, turning your home into a valuable asset. Renting limits your lifestyle options. Are you a pet owner? Finding a rental that accepts your furry family member can be problematic. You also have less privacy when you rent, and less control over your living space. When you own your own home, you can decorate it as you see fit, remodel if you want to, and be certain of the safety of your surroundings. Part of the fun of owning a home is watching it grow in value. Currently, home prices are increasing at an average of about 4.5% per year in the Phoenix area, and that trend doesn’t show signs of slowing any time soon. What does that mean for you? It’s simple: a home worth $200,000 will continually grow in value, and after ten years of appreciation at a modest 4.5% rate, it will be worth $286, 948. It may be easier than you think to buy a home. There are many programs available, some offering a low down-payment or even no down payment at all for qualifying applicants. An experienced mortgage professional can help you find the program that meets your needs and gets you into the home you want. If you’re ready to stop renting, Cachet Homes custom-builds exceptional homes that anyone would be proud to own. Incorporated in 1990, Cachet Homes doesn’t just build homes with simple elegance and sophisticated style; we also create neighborhoods consistent with home values. Our luxury homes are built with care and concern for the community, and we are committed to operating with social responsibility for surrounding land use. To learn more about how we can put you in a beautiful home of your own, contact us through our website. Even if you love your home, you may feel the need to shake things up from time to time. Whether you’re feeling cramped, making things safer for a child or pet, improving your lighting, or just sprucing up your décor, there may be some simple fixes you haven’t considered. When you’re ready for a change, we’ve got some interior design tricks and hacks to help. If you don’t just want it to feel roomier, but actually need more storage space, get creative. Make use of every nook and cranny, utilizing baskets, boxes and even furniture with built-in storage to house your clutter. Think of unexpected ways to create storage, utilizing vertical space and in-between spaces as well as more traditional areas. A shelf above a door or a unit placed between cabinets can yield a surprising amount of storage space. Shed a little light on things, without installing a new fixture. Our hack? Mirrors again! Strategically placed across from windows, mirrors can amplify the natural light in the room, as well adding dimension to your living space. Change your décor using what you already have. A slipcover can transform your existing couch. Rearranging furniture and accessories to mix up patterns and textures can add interest to a room, and unearthing some family mementos currently stashed in boxes can create a new display. Find art in unexpected places. Trays and platters can make an interesting display space for books, frames, or candles. Decorative plates can become wall art, as can pages from books and maps. Consider art from a children’s book for the nursery, create a display from beloved text, or frame a map of one of your favorite places. Mirrors can come into play here, too, filling empty wall space with interest. Liven up your living space naturally. Using plants is an inexpensive and lovely way to decorate your home. Not only do they add beautiful greens and pops of color, but they also help clean the air in your home, absorbing pollutants and removing harmful gases. Some of the best decorative touches are cheap and easy. It’s simple to put on a new coat of paint, and you might not even need to do a whole room. Painting a bookcase or table can brighten up a room, or you can add color in unexpected places by painting your fireplace mantel, the inside of closets, hallways or ceilings. Throw rugs, too, can change the look of a room without breaking the bank. When the tricks and hacks aren’t quite enough anymore, and you’re ready for a custom built luxury home, Cachet Homes builds exceptional homes that anyone would be proud to own. Incorporated in 1990, Cachet Homes doesn’t just build homes with simple elegance and sophisticated style; we also create neighborhoods consistent with home values. We build our homes with care and concern for the community, and we are committed to operating with social responsibility for surrounding land use. To learn more about how we can put you in a beautiful home built to meet your needs and expectations, contact us through our website. It’s wonderful to have some time to get away and enjoy some downtime. Being on vacation is good for body, soul, and mind, and a tranquil vacation spot can leave you feeling relaxed and renewed. What if you could bring that vacation feeling home with you? We have a few suggestions for making your home feel like a vacation every day. Create a spa in your bathroom. A big soaker tub is ideal, but if that’s out of your reach, you can still give your bathroom a spa-like ambiance. Ditch the cluttered counters in favor of simple baskets with towels and spa treatments, add some candles and a plant or two, and your bathroom becomes a retreat. Bring the outside inside. Plants make every space more welcoming, and they’re an inexpensive and healthy way to decorate. Consider a potted palm, a gallery wall of potted plants, or lush hanging baskets both inside and out. You’ll be breathing cleaner air, and all that greenery will make your home feel like a getaway. Don’t be afraid of a theme. Decorate in whimsical tropical décor, or bring in driftwood and sea glass to create a look reminiscent of the beach. Use soothing blues in your decorating for a coastal feel, incorporate navy stripes for a nautical look, or warm it up with wood and deep greens to replicate a mountain hideaway. Whatever makes you feel like you’re on vacation can be the perfect theme for an inviting room in your home. Utilize your outdoor living spaces. Create a haven in your own backyard, with comfortable furniture, welcoming décor, and shady spots perfect for relaxing. Add a fire pit and some cozy throws, and your outdoor getaway becomes just as lovely in the evenings as it is during the day. Display the treasures that mean vacation to you. When you’re on vacation, look for objects that you can bring home and display, to remind you of the wonderful time you had when you were away. Interesting objects from faraway places can make you feel transported, bring up happy memories, and spark conversation with guests who also find them appealing. If you’re ready for a custom built luxury home that makes you feel like you’re on vacation every day, Cachet Homes builds exceptional homes that anyone would be proud to own. Incorporated in 1990, Cachet Homes doesn’t just build homes with simple elegance and sophisticated style; we also create neighborhoods consistent with home values. Our homes are built with care and concern for the community, and we are committed to operating with social responsibility for surrounding land use. To learn more about how we can put you in a beautiful home that meets your needs and exceeds your expectations, contact us through our website. Shopping for your first home can be very exciting, but it can also be pretty stressful. When buying a home for the first time, there are plenty of things you may not know which can lead to some anxiety. You want to get the right home for your family without having to pay too much, but this can be difficult when you’ve never done it before. The following tips for shopping for a home can help you get the most for your money. Choose the neighborhood or type of neighborhood you want to live in as well as the style of house you prefer. Once you find the home you want, don’t delay. Properties can sell quickly and someone might take it off the market before you put in your offer. Have a wish list for the type of home you want, but realize that not every house is going to be perfect. If you want your perfect house you should have it custom built. Just like you shouldn’t judge a book by its cover, you shouldn’t judge a house by the outside. At least take a quick look at the inside to make sure you aren’t missing something. One of the best places to buy a home as an investment is in an up-and-coming area. Emotions often rule the first time you visit a house. Go back a second time when you are thinking more logically and do a thorough inspection. Don’t forget about added costs like property taxes and homeowner’s insurance. If you can afford a large down payment it can lower your monthly payments, but you typically aren’t required to put down a lot to buy a home. If you’re looking for a luxury home, condominium, or town-home in Arizona, contact Cachet Homes today for more information. Spring is a great time of the year when the weather starts to warm up which means being outside is much more enjoyable. 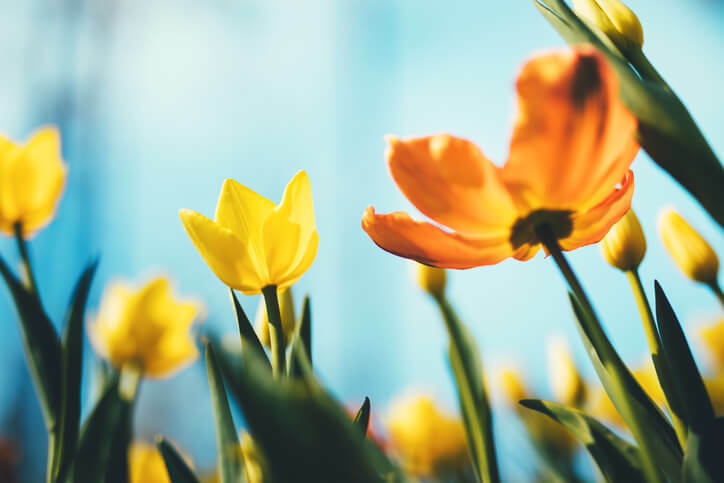 There are plenty of occasions to get together during spring which include Easter, Mother’s Day, Cinco de Mayo, and many others. Throwing a get together in the spring can be pretty easy, even if you don’t have a holiday to celebrate. You’ll likely want your party to be outdoors, and adding a fun theme can make it even more exciting and memorable. Check out some of these fun spring get together ideas and try one at your next gathering. Flowers and spring go hand in hand. This is a rather simple concept but it can make your event feel more formal and fancy. Set up a nice table outside and decorate with some nice flower arrangements. Cook up some brunch favorites or get them catered or delivered. This type of get together is great for a few close friends or family members. Even if temperatures are a bit warm outside, you can gather around the pool and celebrate with some colorful and flavorful popsicles. You’ll find that most popsicles are relatively inexpensive so you can really go wild with buying many different types. Decorate with fun pastel colors and everyone is sure to have a good time. 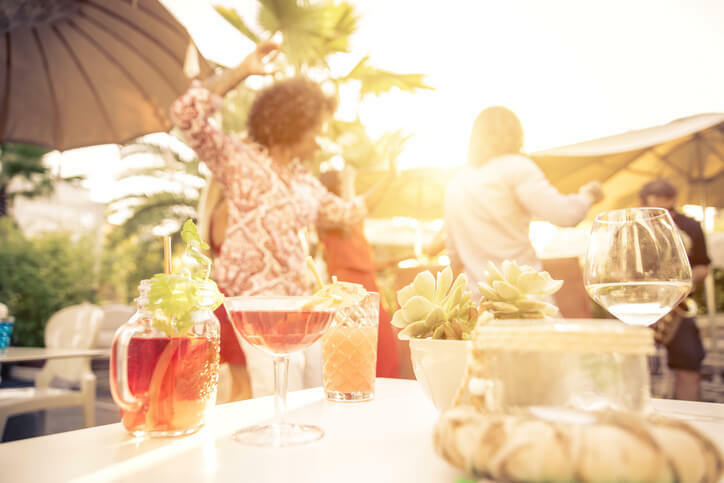 It can be difficult to get into the beach mindset living in the desert, but a tropical party can help your guests do so. Encourage family and friends to wear a Hawaiian shirt and serve plenty of fruity drinks with pineapples and coconuts. Decorate with tropical flowers and palm leaves and make sure everybody gets a lei. To learn more about Cachet Homes contact us today. Spring is the season most associated with cleaning, but it’s also a great time to get your home organized. You might need some ideas to get started, so check out the following tips to get your home organized inside and out. Storage Shed – Sheds often get cluttered so doing some reorganizing can really help. Try hanging a heavy-duty wood lattice on the inside of the shed door to hang up tools like a broom and a small shovel. Use S hooks, broom clamps, or binder clips suspended from a hook. Umbrellas – Along with the nice weather in spring comes some rain. Having an umbrella handy is great, but it’s easy to get your floors wet when you come inside. Take an inexpensive flower bucket and paint the bottom in a festive color. Use the bucket to store the family’s umbrellas near the front door. Spring Cleaning Bucket – If you want to make your spring cleaning easier and more efficient, put together a spring cleaning bucket complete with everything you need including all-purpose cleaner, glass cleaner, a sponge, a squeegee, a scrub brush, towels, rubber gloves, and more. Garden Cleanup – Cleaning up your garden may sound like a difficult task, but streamlining it by sorting debris can make it easier. Use a wheelbarrow to store biodegradable waste and then simply dump it on a compost heap. Use another bucket for trash like broken pots and rocks hanging over the wheelbarrow’s edge using an S hook. Pots and Lids – De-clutter your pots and pans by installing some metal towel bars inside of your pantry door. Use those racks to store lids for the pots and pans in your pantry. Use a towel rack that isn’t too bulky or fancy. To learn more about our custom luxury homes, contact Cachet Homes today. Many homeowners find themselves with an extra bedroom that they are not using. Sometimes this is because you are expecting to start a family down the line and want a house you can stay and grow in. Other times, it’s because your child has grown up and gone away to college. A home office is one of the most common uses for a bedroom that’s not used as a bedroom. Even if your job doesn’t allow you to work from home, a home office is still an effective way to take care of things like paying bills, making important phone calls, etc. You don’t need a whole lot of expensive equipment to set up a home office as long as you have the basics like a desk, computer, filing cabinet, and more. If you don’t need an office and are looking for some other ideas for that extra bedroom, you might want to turn it into a guest bedroom. If your young adult is away at college, chances are they’ll be back for the summer and over the holidays so you may not want to completely redo their room. Updating some of the furniture can make it an attractive bedroom for guests and your college student alike. You can also rent out the room if you so choose.